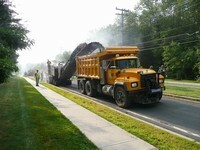 This Division of the Public Works Department is repsonsible for maintenance and repair of Township roads, including the asphalt overlay program, snow removal, leaf collection, street sweeping, stormwater maintenance, shade tree maintenance and emergency response. 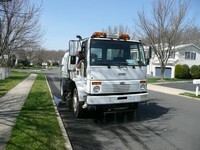 Street sweeping is an ongoing activity which begins on April 1 and continues into the fall. It takes approximately four months to sweep all streets in the Township.